Widely regarded as the "rock star" of American poetry, Mary Oliver is a writer whose words have long had the power to move countless readers. Regularly topping the national poetry best-seller list and drawing thousands to her sold-out readings across the coutnry, Oliver is unparalleled in her impact. As noted in the Los Angeles Times, so many "go to her for solace, regeneration and inspiration" that it is not surprising Vice President Joe Biden chose to read one of her poems during the 9/11 remembrance at Ground Zero. Few poets express the complexities of human experience as skillfully as Mary Oliver. 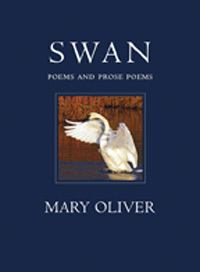 This volume, Oliver's twenty-first book of poetry, contains all new poems on her classic themes. Here, readers will find the deep spiritual sustenance that imbues her writing on nature, love, mortality, and grief. As always, Oliver is an accomplished guide to the rarest and most exquisite insights of the natural world. Ranking "among the finest poets the English language has ever produced," according to the Weekly Standard, Oliver offers us lyrics of great depth and beauty that continue her lifelong work of loving the world.